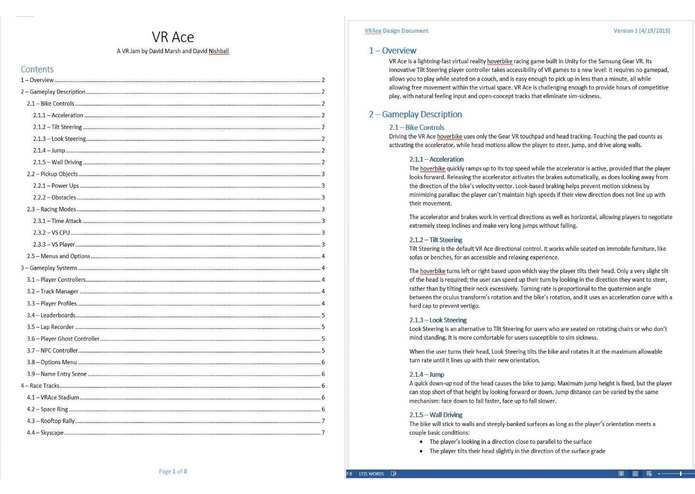 VR Ace is going to bring fast-paced racing to mobile VR in the most accessible and comfortable way possible. Its interface can be learned in less than a minute, it can be played while sitting comfortably on a bench or sofa, and it does not require a game pad, yet it still gives the player a full 360 degree range of motion with accurate and responsive controls. We plan to have 2 to 4 race tracks, local multiplayer over wi-fi, leaderboards, and a few different game modes available by the end of the game jam. Several innovations are going into this game, the most notable of which is Tilt Steering. This control method takes advantage of the Gear VR's accurate tracking to map head movements to a vehicle's steering in an intuitive way: the VR Ace hoverbike turns left or right when you tilt it left or right, just like a real bike. This control method is wonderfully easy to use and provides a level of precision that's simply impossible to achieve with a traditional controller. 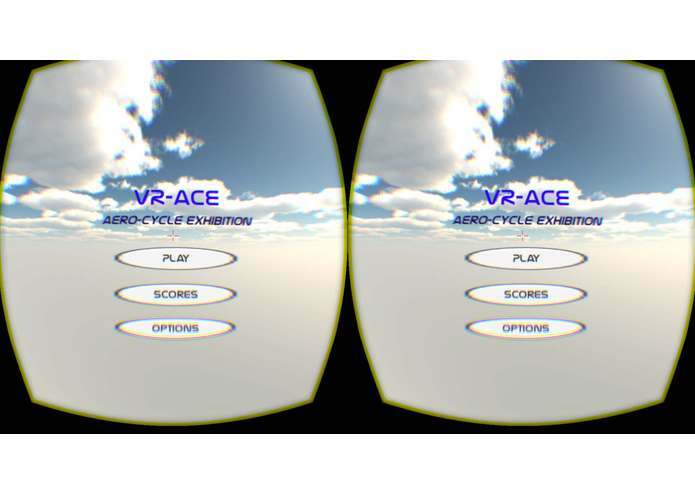 Once you play VR Ace, you'll never want to use an analog stick for turning ever again. The biggest problem we're watching out for is motion sickness. This game is faster and more open than almost anything else out there, so it's crucial that we minimize or eliminate sideways movements, parallax, and vection. 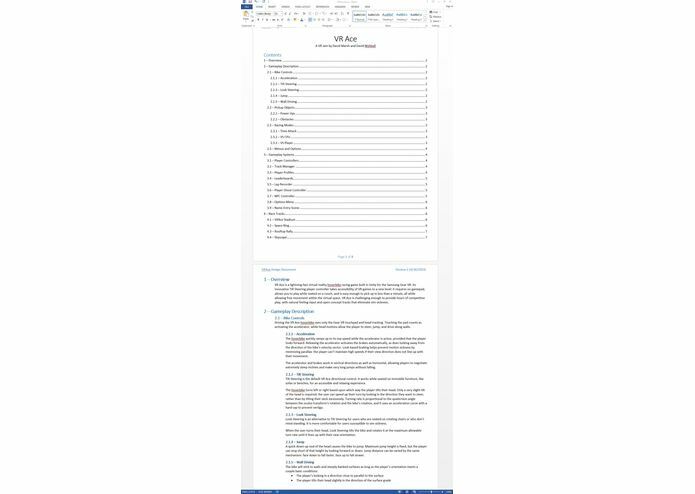 We've done a lot to that end already, and tested it on a couple dozen people so far, but new ideas and feedback to that end are especially welcome. 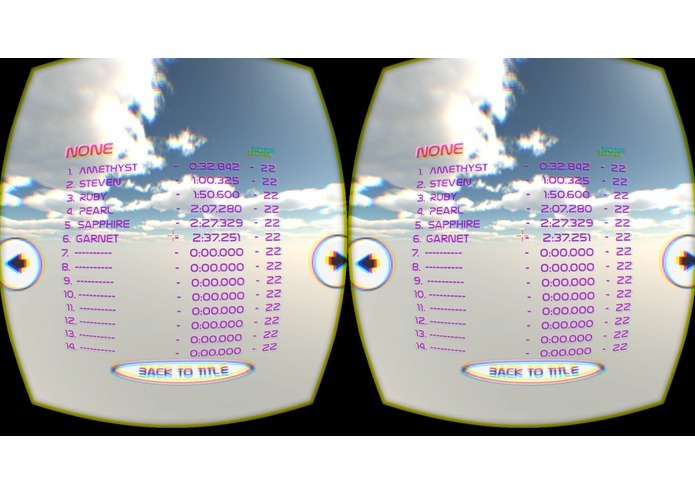 Progress Update: Jump, wall drive, user profiles and a high scores list are implemented. The new video shows wall run controls in the test map as well as name entry. The final week of the competition will be spent building a better race track, and possibly adding computer controlled opponents and other game modes.